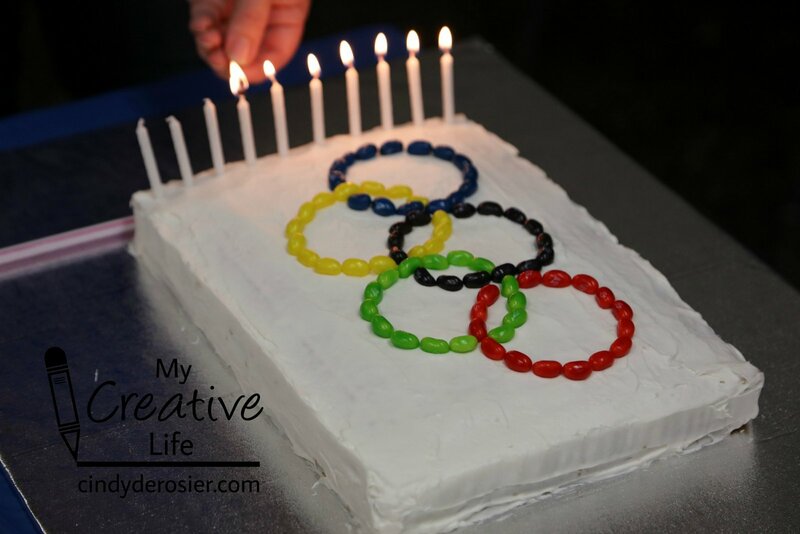 Trevor and I worked together to design and make a cool Olympics-themed cake for his birthday party. 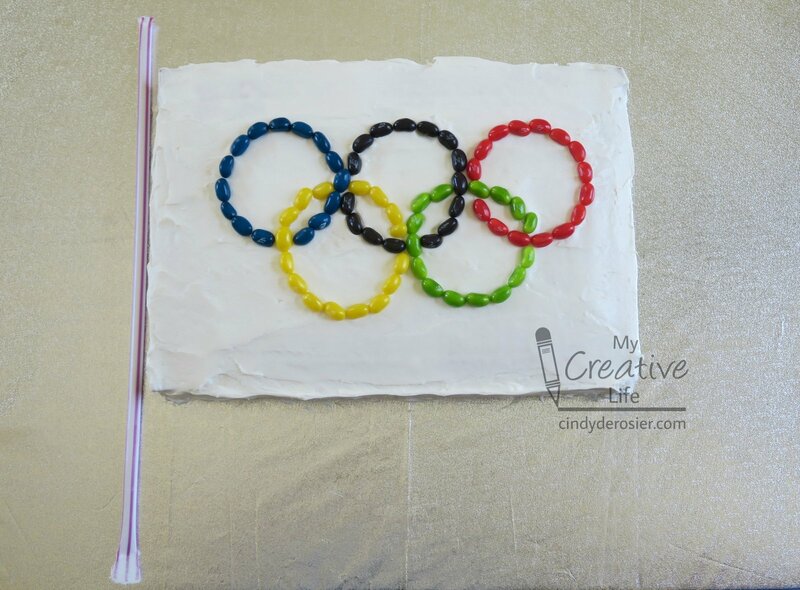 Frost the cake. 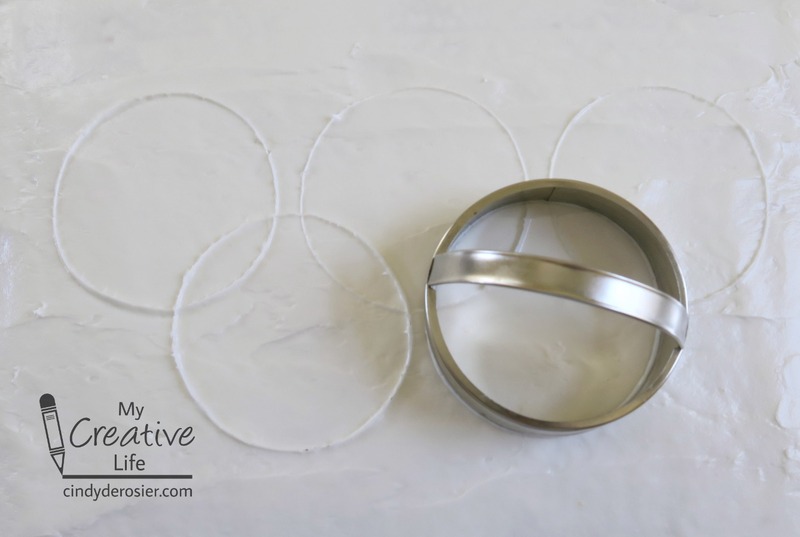 Use the biscuit cutter to mark perfect circles in the frosting. Start with a ring that is centered horizontally and slightly higher than center vertically. This will be the black ring. 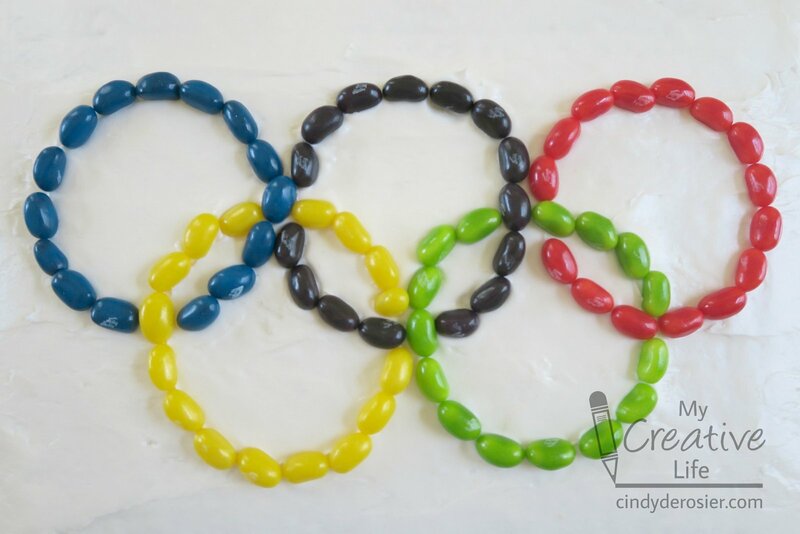 From there, add the remaining rings, playing attention to where the overlapped portions are. 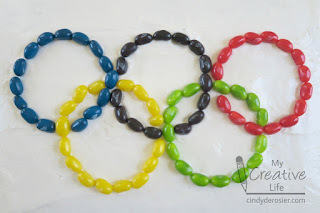 Place the jelly bellies on the lines to form the rings. Trevor started by marking the intersections and then filling in around those. Finally, lay the pixie stick to the left of the cake to make a flagpole. That's all there is to it! 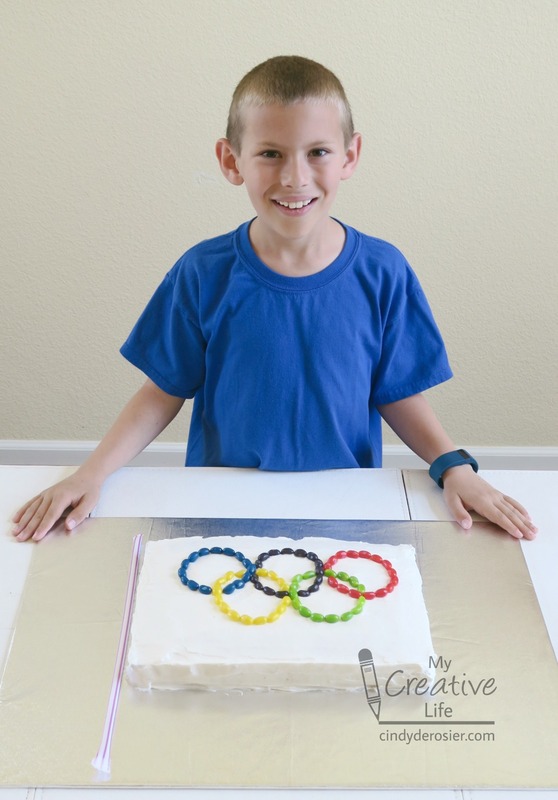 Here's the proud cake decorator with his creation. 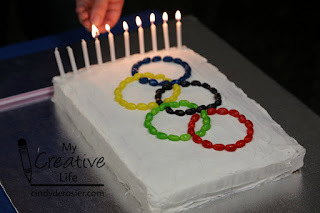 Ten candles. I can hardly believe he's 10. The cake was a hit. Tomorrow I'll share how we solved the issue of kids wanting specific pieces of cake in order to get the jelly bellies they preferred. Ohhhhhhhhhhhh I love love love that cake!!!!! 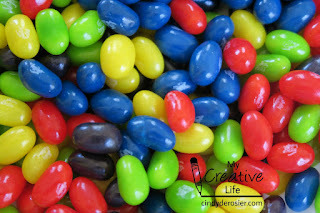 Looks AWESOME and yummy!!!!!!!!!!!!!!!!!!!!!!! !